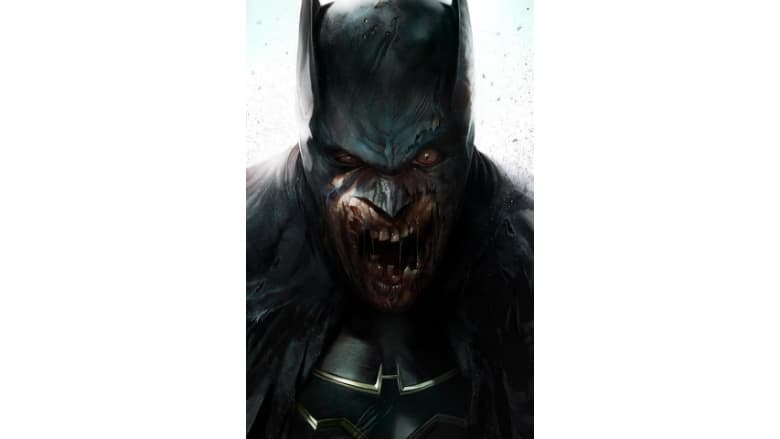 DCeased Comic Pits Zombies Against the DC Roster | Nerd Much? A new threat has entered the realm of DC Comics. The publisher announced today a new DCeased comic line which will pit the label’s greatest heroes and villains up against a zombie apocalypse. The DCeased comic tells an alternate reality story set outside the confines of the DC’s current continuity. Thus, Taylor and his artists are fully embracing their ability to off your most beloved of heroes in dark and twisted ways. IGN explains that the upcoming DCeased comic story is jump started by Darkseid, now “a techno-organic virus”, following the villain spreading an infection to over 600 million people via the world’s networks. Those infected begin attempting to rid themselves of the virus by ripping their own flesh off. But without a cure in sight, all eventually succumb and convert into rage-fueled zombies. Batman, of course, has a plan, and is a major focal point of the DCeased comic. But with the Caped Crusader himself infected, will he be capable of ridding the virus from his body in order to save the rest of the population? Issue #1 of DCeased launches on May 1st. Want more Batman in your life? Check out our epic list of the 50 best Batman gifts.